On a frozen lake near the US-Canadian border, he wrestles with a decision that could change his life forever, as his hatred threatens to turn him into the kind of person he has spent a career bringing to justice. 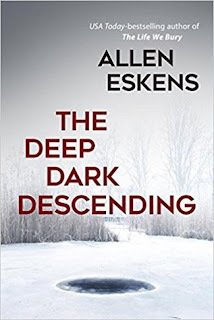 Deep Dark Descending by Allen Eskens is a 2017 Seventh Street Books publication. Detective Max Rupert discovers, in a stunning manner, that there is evidence backing up his suspicions, that the hit and run that killed his wife four years ago, was in fact, premeditated murder. This information coincides with a perplexing case he and his partner, Niki, are working, involving a car fire which includes a dead body. Despite his full plate, Max’s desire to catch the people responsible for his wife’s death overrides all. He becomes a man on a mission, fighting all the powers that be, in his single- minded purpose. The book starts off with Max in the midst of exacting his revenge, but the story flashes back to ‘present day’ where we must now follow Max's progress towards that heart stopping point in time, with a few updates sprinkled in, depicting a troubling escalation, which also cast a few doubts in my mind at the same time. This is an effective tactic, on one hand, I found myself growing impatient, wishing things would hurry along so that I find out the who and the why, and what on earth will happen with Max once all is said and done. On the flip side of that coin, Max’s poignant memories of his wife, the happiness they were sharing, and the blow her death was to him, is very compelling. I wanted to firmly stand on Max's side, but he also made me very nervous, which created a very thought provoking character analysis. Hero or anti-hero? I was never quite sure until the end, but naturally, Max is a very sympathetic character, and his crisis of conscience is very convincing. 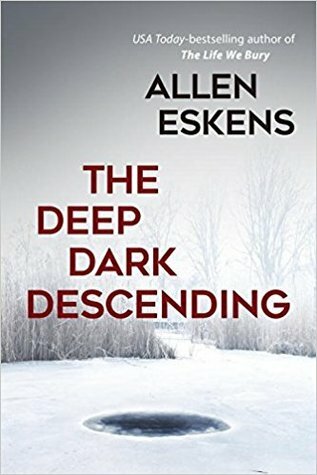 The plot is more complex that it appears at first glance, and Eskens did a terrific job of bringing all the various threads together before creating an incredibly gripping, yet bittersweet, climax. The story has both action and suspense, and although there were a few implausible spots, the plot is complex and smart. Overall, this was a fast-paced, action packed story that any thriller fan will enjoy. Allen Eskens grew up in the wooded hills of Missouri and, after high school, migrated north to pursue his education. 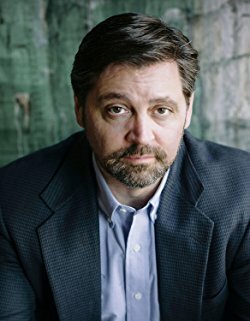 He acquired a Bachelor of Arts in journalism from the University of Minnesota, and a Juris Doctorate from Hamline University School of Law. He honed his creative writing skills in the M.F.A. program at Minnesota State University and took classes at the Iowa Summer Writing Festival and the Loft Literary Center in Minneapolis.